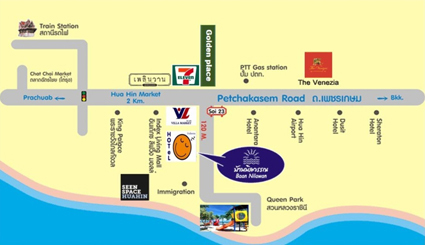 The approximately 200 km drive between Bangkok and Hua Hin can be traveled in 2 to 3 hours. 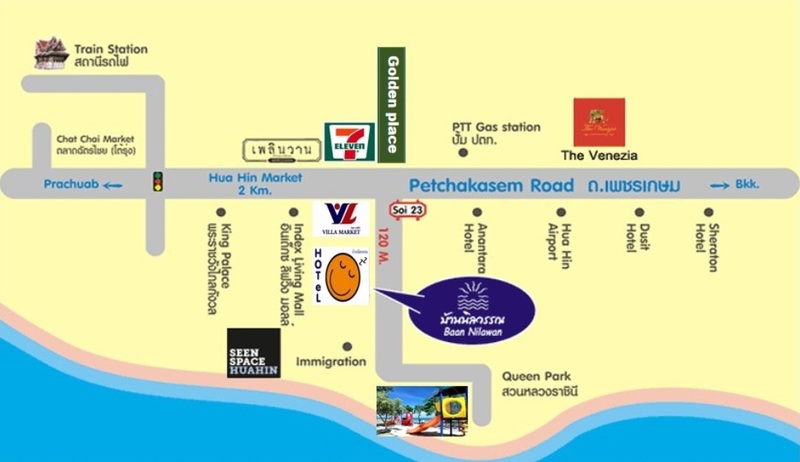 The most direct driving route from Bangkok to Hua Hin is to follow Highway 35 south to Highway No. 4. Buses between Bangkok and Hua Hin are served by Bangkok's Sai Tai Mai terminal, and depart every 20 minutes for the 3 ? hour journey. Fares for first class bus seats cost around 200 baht. COPYRIGHT@2010 NILAWAN RESORT CO.,LTD. ALL RIGHT RESERVED.